Supporters of the Barnaby Festival. 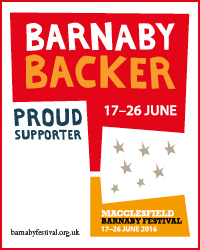 We’re pleased to support the Barnaby Festival each year by providing them with offices free of charge at Sunderland House in Macclesfield. Caring about our thriving arts community. We look forward to seeing you! Janhill are a Barnaby Backer!